Is the G-20 Heading for a Showdown With Trump on Climate Change? Argentine President Mauricio Macri and his wife, Juliana Adawa, arrive for the G-20 summit in Hamburg, Germany, July 6, 2017 (AP photo by Markus Schreiber). Presiding over the Group of 20 seemed like a good idea back in 2016, when Argentina outmaneuvered India for this year’s presidency. The rotating leadership gig was supposed to showcase Argentina’s political and economic transformation after years of international isolation and scandal at home, and offer a chance at global leadership. 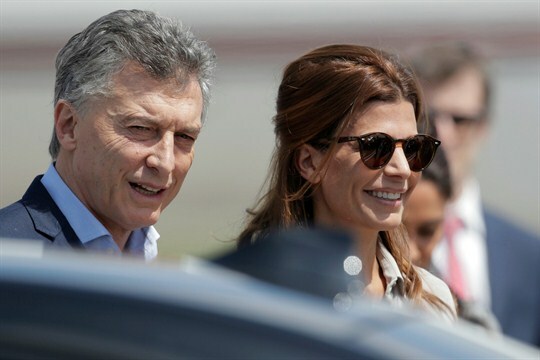 Instead, largely as a result of jolting policy changes in the United States under President Donald Trump, Argentine President Mauricio Macri landed a burdensome assignment.